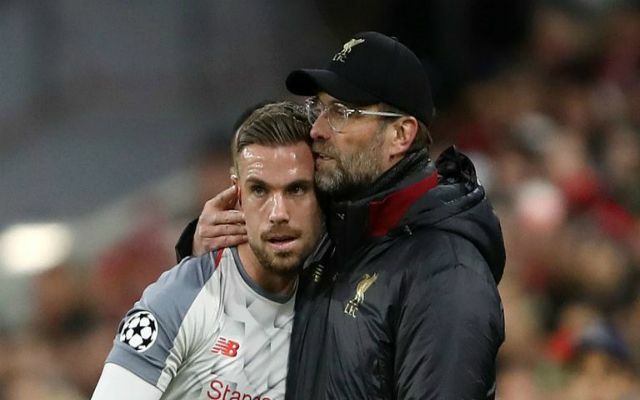 The ankle injury that Jordan Henderson picked up in the win against Bayern Munich last week means that he will miss the upcoming 2020 Euro qualifiers. Hendo has been forced to withdraw from the England squad for the international break, which means that James Ward-Prowse of Southampton has been drafted in to fill his place. 🏴󠁧󠁢󠁥󠁮󠁧󠁿 James Ward-Prowse has been called up for the England squad to replace an injured Jordan Henderson. It was previously thought that the Liverpool captain would have time to recover from his twisted ankle as Jürgen Klopp gave his assessment straight after the Fulham win on Sunday. “I think he will have two or three days at Melwood with his rehab”, Klopp stated. “It looks positive and he is in contact with Gareth (Southgate, England manager) that when he can train, he will go to the national team. But now it looks as though he will have to sit these games out on the sidelines; at least that means he should be fit and fresh for our next game against Tottenham at the end of the month. England are set to face up against Czech Republic at Wembley on Friday before playing Montenegro three days later at the Podgorica City stadium. The only other Liverpool player to play the Euro double-header is Trent Alexander-Arnold – let’s hope he doesn’t pick up an injury with the Three Lions!